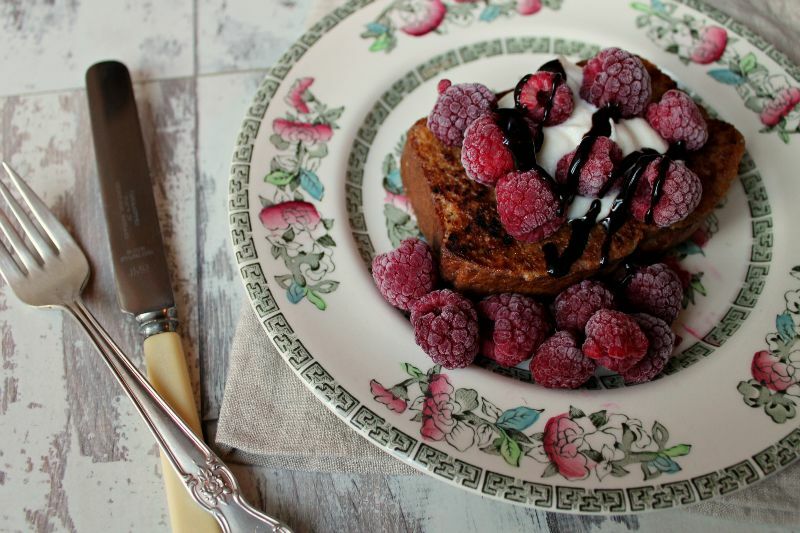 What's better than French toast? Banana French toast, obviously! 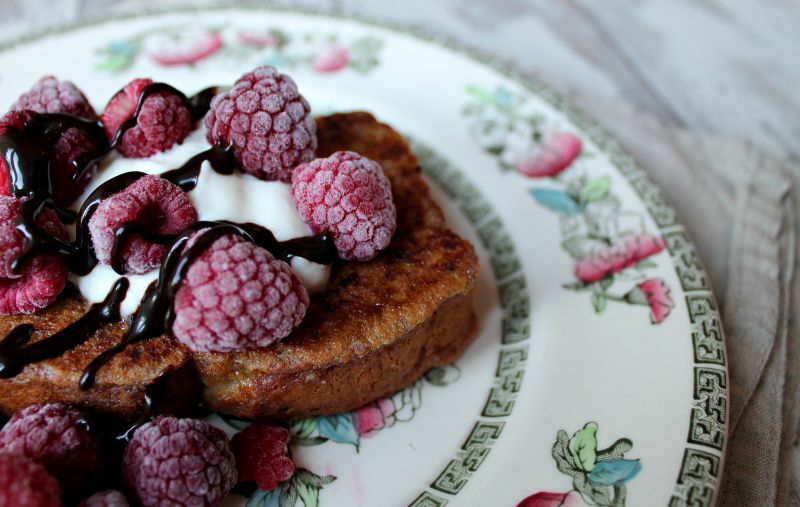 Banana bread, French toast style, topped with crème fraiche, frozen raspberries and a drizzle of chocolate syrup. This makes the perfect weekend brunch; it's a little bit special, a little bit naughty, but more than a little bit easy. Not only that but it looks super impressive and packs a punch taste-wise. You'll need to start by making banana bread. 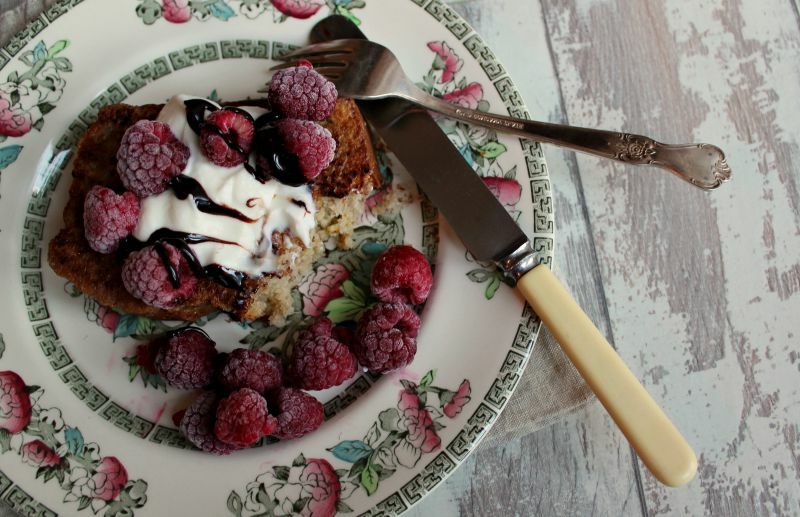 I blogged about my favourite banana loaf recipe (with added chocolatey loveliness) way back in 2012 - I have no idea where I got this recipe from so can't credit it, oops. This time I used a very simple Mary Berry recipe from her Baking Bible book, a must buy for anyone who loves baking. Mary's recipe is even simpler than the recipe I usually use, and is gorgeously moist but maybe not quite as banana-y. Anyway, start by making a banana loaf - you can do this the day before as it keeps quite well. Then, take a slice of banana loaf and coat in egg (whisk an egg in a bowl with a pinch of cinnamon and lay the bread in, turning after a few seconds to coat evenly). In a non-stick pan, fry the bread in a little butter or Fry Light on a medium heat until golden brown on both sides. 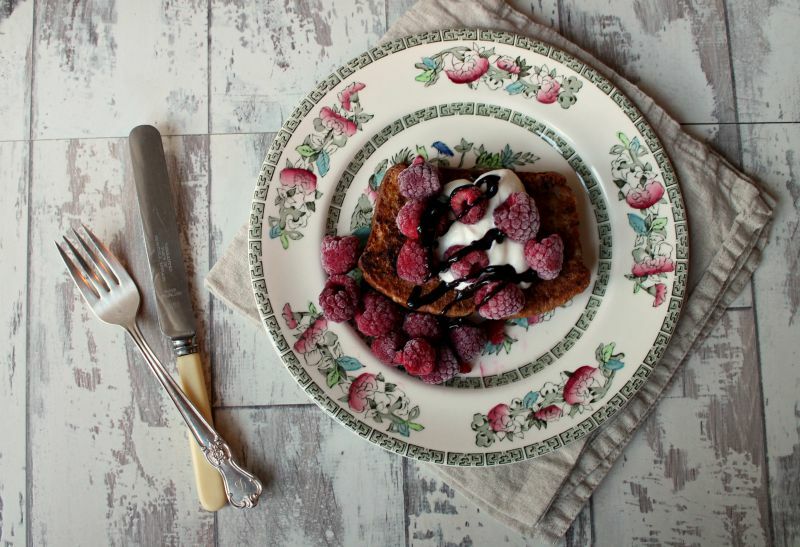 Serve the banana bread with crème fraiche, yogurt or even ice cream and berries. 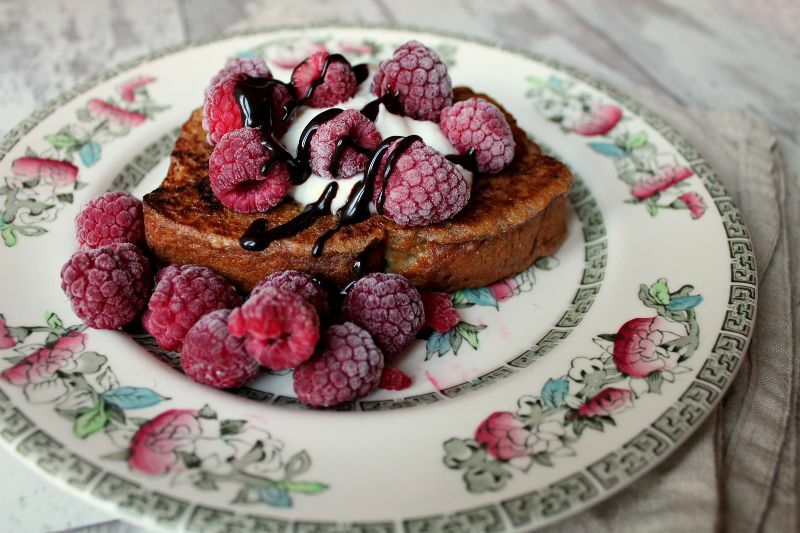 Drizzle with chocolate syrup (I use Choc Shot by Sweet Freedom) and serve whilst the bread is still warm. Delicious! This looks soooo delicious! 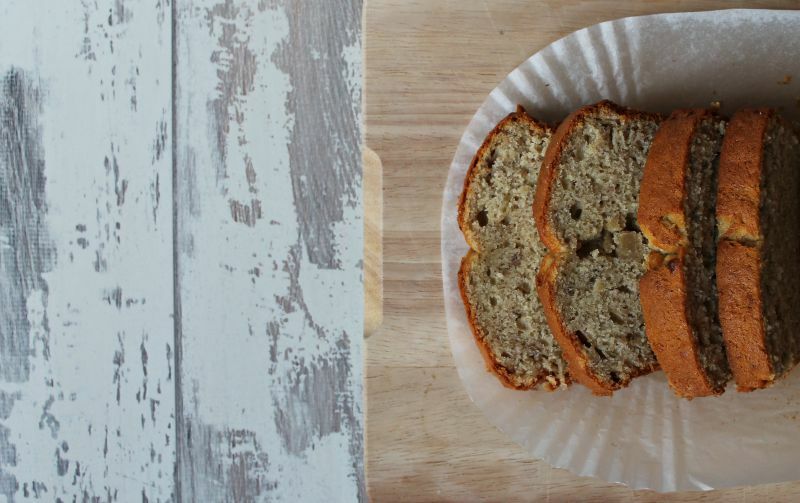 I love banana bread :) definitely going to try this one! WOW. This has got me drooling! Oh my god I'm so hungry now! Looks amazing. What an amazing idea! Why have I never thought of this before?! So doing this.